Firewalla is a cybersecurity company out of San Jose, California. We are a bunch of networking and security engineers; when someone hacked our baby camera, we had to bring out professional equipment to fix the problem. "Do you know you are under Cyber Attack?" This inspired us to create Firewalla. We want to make Cyber Security Simple and Affordable. We want to pack all the professional tools we use and make it simple for consumers to secure the world of digital things, control kids internet access, block ads, and even manage social media! Firewalla was funded through Kickstarter and later followed through via Indiegogo In-demand. We shipped all of our orders as of late February 2018, and now we are in production. Crowdfunding helped us to focus our product and gave us a bunch of awesome set of early adopters. Here, we thank every one of the early Firewalla users. Simplify Cybersecurity: Cybersecurity is complex; It is even more complicated for the home and small business. We want to make this experience as simple as possible. Enterprise technology for the home: cyber technologies are already there for large enterprises. They are complex because they need to scale and operate in very complex environments. We take the same technology, simplify, and scale it down for the home. We believe security needs to be open. 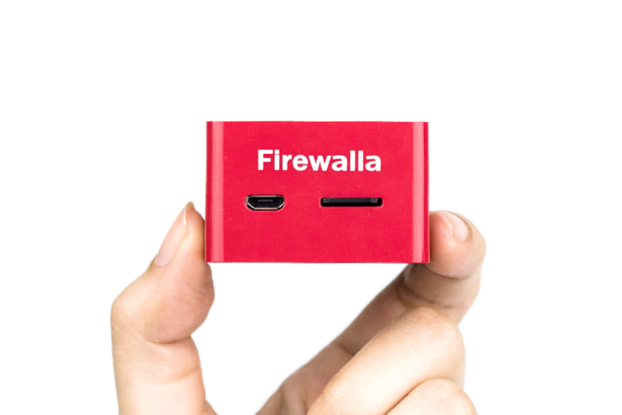 We fully open sourced the code running on the Firewalla box. This blueprint that runs the Firewalla is open to inspection and open to innovation. We believe in evolution. Our team thinks security is based on continuous improvements. We believe in shipping code often and early. We believe in extensibility. Fundamentally, we build our software to be extensible, expect more and more features joining the box.